For some, choosing a health career goes further than just working in their home country. They may want to choose international health work. There are many options, ranging from a one-off internship of a few months to a year spent in a developing country. Some health workers may even spend a lifetime working in a career that requires travel to new locations. Working in a developing country brings enormous challenges. It does, however, give you the chance to use your skills and experience to help people who often don’t have access to quality, dependable healthcare. You might be a physician who wants to take a hiatus from work to experience a different environment where you support the health needs of a poverty-stricken population. Nurses and surgeons may also want to bring their skills to developing nations, particularly where a surgery makes a lasting difference for a child. Student placements are an excellent way to get experience. In fact, for some health careers, practical experience is mandatory to receive a specific health title that is nationally protected. You might want to choose a placement in another country. While most placements are through a university, there are alliances with international ones that let you do practical work abroad. Even though the culture can be different, English speaking health professionals may still be in-demand and needed to support English speaking members of the population. It also gives students a chance to experience another culture and patient base. 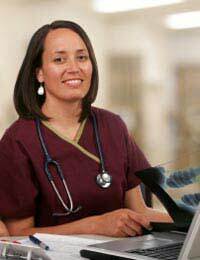 Travel nurses often spend the lifetime of their career working in different places. Typically, this is not in a developing nation but rather, in a westernised country with a high demand for nurses. Due to this demand, employers look elsewhere to recruit nurses, to whom they often pay high salaries to encourage them to move. For a majority of nurses, this kind of health career – while accessible right to their retirement – will not be a long-term decision. This is primarily due to factors such as family and similar commitments. Sometimes, volunteer work is well worth it for the personal satisfaction you get from making a difference. Others find that international health work is helpful as a voluntary internship that gives them experience to help them later achieve their ‘dream’ health position. Make sure that you can fund voluntary travel and work or have money in place from a grant or as part of your university programme. It’s also wise to have a contingency plan in place to deal with any financial emergencies, particularly where you’re volunteering and don’t have a regular income. It’s important that you consider health issues such as immunisations and other cautionary measures if you do choose to work abroad. Not all standards of living will be comparable to Britain. While this challenge may even be part of the appeal, make sure you plan well ahead and always bring an appropriate first aid travel kit. Be sure you know how to obtain medical help and speak with your doctor in advance of travel to get a health check. Those who truly gain the most from their international health work are ones who carefully look at all aspects that affect the transition. This includes all of the logistics, such as taxes, relocation costs, legal issues and the cost of living in the new country. Another important consideration is whether you have children or a partner. For many, being independent in this career is easier because they can travel freely and don’t have the family commitments many people may have in life. As long as you approach international health work with caution to ensure you are safe and well prepared, it could be a rewarding time in your health career.